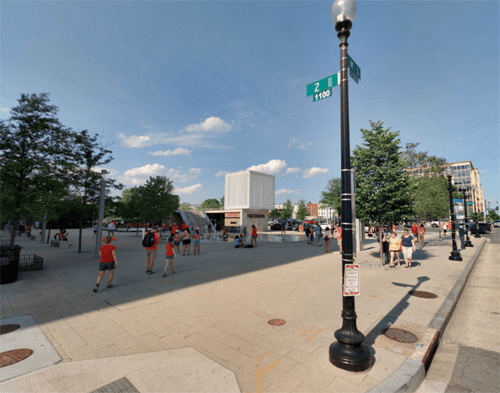 The CG-3 zone is intended to permit high-density mixed-use development with a focus on employment and provide for the establishment of South Capitol Street as a monumental civic boulevard. 1 Non-residential floor area shall be the total gross floor area of the building not dedicated to uses in one of the following categories: Residential, Emergency shelter, Lodging uses, or Education uses that are operated or chartered by the District Government. 2 Subtitle K § 510 contains design-related conditions on height and upper story setbacks for South Capitol Street, a designated street of Subtitle K § 508.